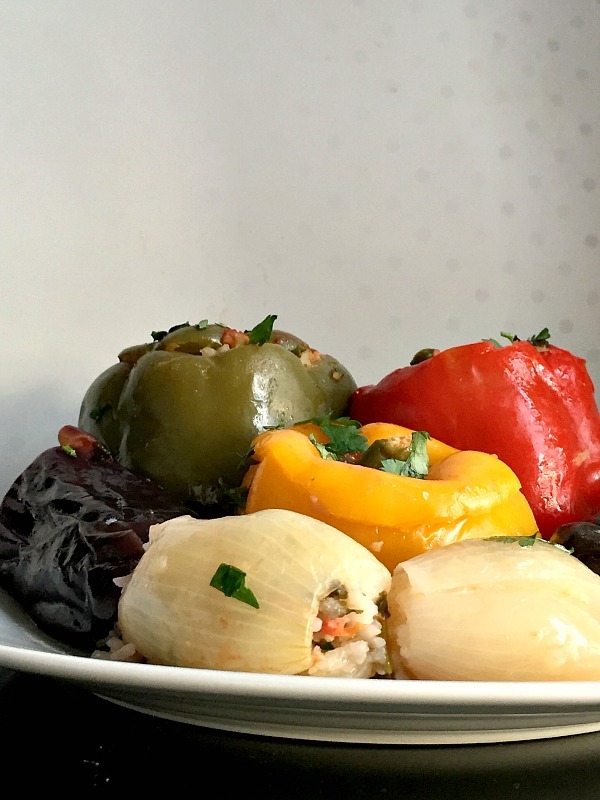 This is my take on the Middle Eastern Vegetarian Dolma or stuffed vegetables, a fantastic dish that brings the whole family around the table. 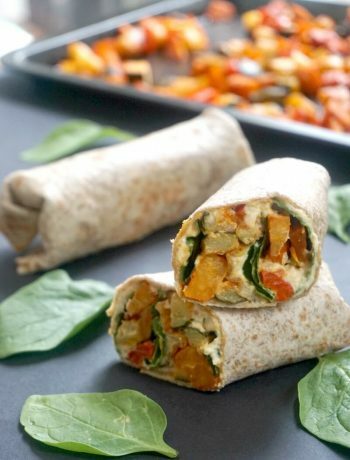 Using only simple ingredients, you can cook a meal that is nutritious, delicious and filling. 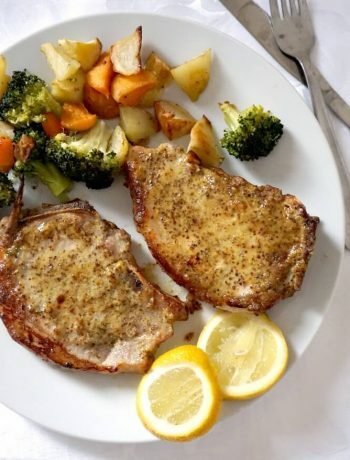 Although it is suitable for those on a vegetarian or vegan diet, meat lovers will also go for it. And what’s not to be loved!!! 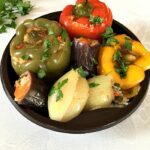 DOLMA can refer to stuffed vegetables like peppers, onions, aubergines (eggplant), courgettes, tomatoes, but also to rolled grape leaves or pickled cabbage stuffed with rice and vegetables and/or meat. The dish is very popular in many Middle Eastern and some European cuisines. In Romania, we even have meat and rice rolls treasured as our national dish, thoroughly enjoyed during festive times like Christmas, New Year, Easter and so on. My Romanian stuffed cabbage rolls with chicken and rice is an example of how we prepare such dish. So tasty! Stuffed peppers are also common, the others not as much, at least not in my family. The bigger the family, the larger the pan! At Christmas, mum gets to cook about 80 or so rolls, and we are not really that many. Imagine very large families, they must cook enough to feed an entire army! 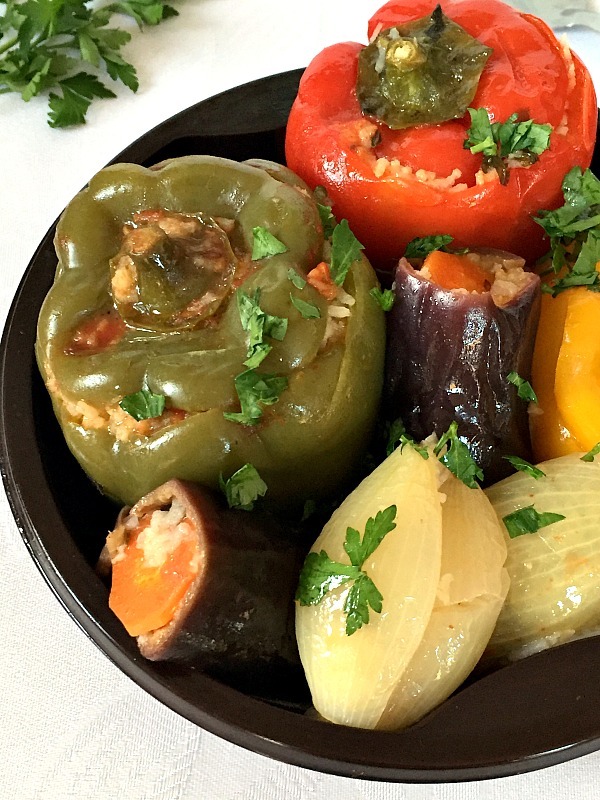 How do you make vegetarian dolma? The ingredients l listed below are more or less enough to feed 4-6 people, so just adjust the numbers accordingly. Also feel free to add more seasoning, l tend to use less so my kids can eat too. The onion veggies that need to be par-boiled before sutffing are the onions. And that simply because removing the layers of onion is a lot easier once they are cooked and soft. The peppers and aubergines (eggplant) have to be cut at one end so that the seeds / flesh can be scooped out. The rice is not cooked either, we can just mix it with the other vegetables and seasoning, then we stuff the eggplant, peppers and onions and arrange them tightly in a pan. Place a plate on top of the veggies to make sure they stay in place while cooking, otherwise the filling will be all over. Also, make sure you cook them at a low to medium heat! Increasing the heat means that the liquid will be evaporated way to faster, and the rice won’t be cooked properly. You really don’t need meat in order to enjoy comfort food. After all, comfort food is what makes you feel better, what soothes you, and if vegan food does so, then this is comfort food. Not to mention that is really filling too. My husband loves dolma, he always says he’s got not will powder when he has a plate of dolma in front of him, he quickly demolishes everything. 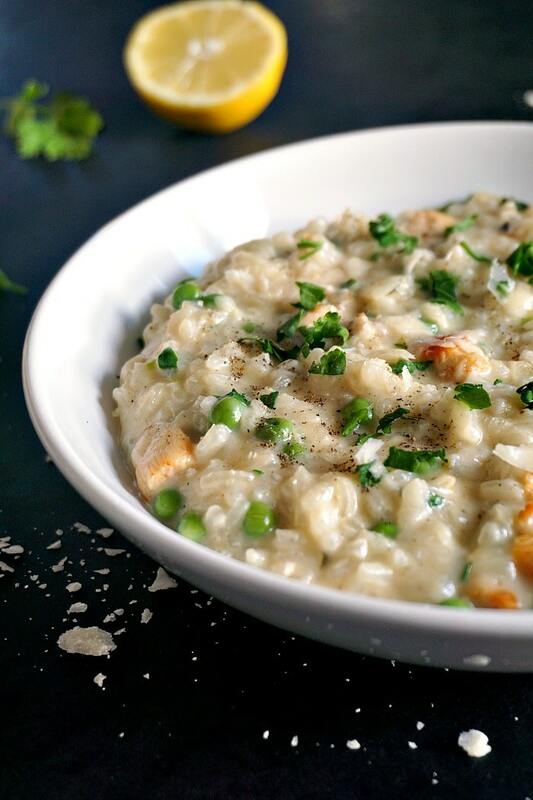 This dish is a great choice for a midweek dinner, kids usually like rice, so there shouldn’t be much battle about eating it. If you’ve tried this MIDDLE EASTERN VEGETARIAN DOLMA or any other recipe on the blog then don’t forget to rate the recipe and let me know how you got on in the comments below, I love hearing from you! You can also FOLLOW ME on FACEBOOK, and PINTEREST to see more delicious food and what I’m getting up to. 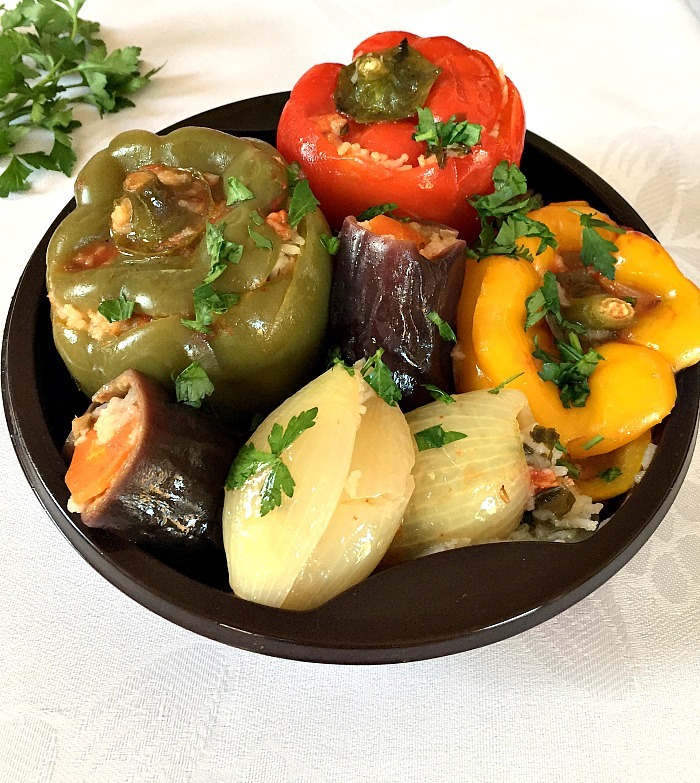 Middle Eastern vegetarian dolma or stuffed vegetables (aubergines/eggplant, onions and peppers), a healthy and filling dish for the whole family. Vegan friendly recipe. Cut the stalk end of the peppers and aubergines into a lid, scoop out the seeds or/and the flesh and set aside. Use a sharp knife to cut the ends of the onions, peel them and boil in salty water for about 15 minutes. Once soften, separating the layers for stuffing should be a lot easier. Make a cut on the side and separate each layer. Wash the rice under cold water until it runs clear. Finely chopped the green onions, carrot, tomatoes and parsley and mix with the rice. Season with salt, pepper, paprika and caraway seeds. Stuff the peppers, aubergines and onions and arrange them in a large pan. Put the lids back on the peppers, l used slices of carrots to make a lid of the aubergines. The onions can be rolled tightly. Do not stuff the vegetables right to the top, about 2/3 should do. Place a plate on top of the vegetables to ensure the stuffing does not overflow. Mix 4 cups of boiling water with the lemon juice, olive oil and tomato purée and pour over the vegetables. Boil on a medium heat until the rice is cooked and the vegetables are soft, it is hard to appreciate for how long, l would say at least 45 minutes. Not sure about the bell peppers. Looks like 1 green, 1 yellow, and 1 red. Thank you, Walt, l am glad you like it. Not all the vegetables are on photos, l just picked up a few, the rest were in the pan ? Hello, just for your own personal knowledge, we typically refer to stuffed vegetables such as this, as Mahshi. It looks delicious. Thank you, Ariel! Is the dish specific to a certain area?